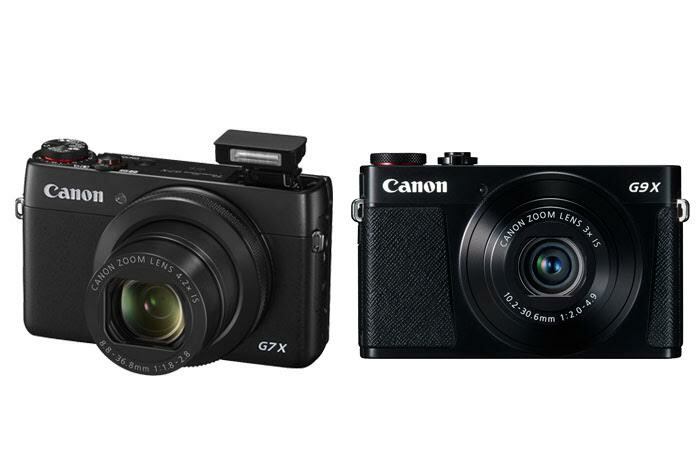 Are you confused in choosing between Canon G9X and Canon G7X? Of course, between these two mirrorless digital cameras, Canon G7X is being priced quite more expensively over Canon G9X. These two products share some similarities, including the bold trait of using a non-interchangeable lens system.. The base layouts are pretty much identical. Both models are also popular on the market, loved by a lot of people who are seeking an entry-level mirrorless digital camera. So, which is the one that you should choose? These two models come with the same rectangular shape. However, Canon G7X is a little bit bigger than Canon G9X. The difference is not very significant, though. In addition, Canon G7X features a smooth doff body, as opposed to Canon G9X’s very much contoured texture on the gripping area. Both models have solid and firm handling. Both of them also feature dial control for easy and quick access to various features. However, if you look at their rear, you can see that Canon G7X has got some more function buttons. In addition, the model also sports a 3.0-inch tiltable screen, which is very handy and useful for shooting at difficult angles and taking selfies. Canon G9X’s 3.0-display screen is fixed, so it is not as versatile. Take a look : Samsung NX Mini vs Canon G7X. As mentioned above, both of these models are utilizing fixed lenses. However, Canon G7X comes with a more powerful lens than Canon G9X. Canon G9X is armed with a 28-84mm F/2.0-4.9 capable of providing up to 3X optical zoom. On the other hand, Canon G7X features a 24-100mm F1.8-2.8 zoom lens with up to 4.2X optical zoom. So, Canon G7X has a slightly better edge when it comes to long-range shooting. Both models’ lenses have been equipped with optical image stabilization to reduce blurs caused by mechanical or handling vibrations. Canon G7X also comes with a built-in ND filter, which reduces the amount of light coming into your camera so that you can set longer exposure times and wider apertures for striking photographic effects. While they both are using a 20 MP 1.0” BSI CMOS image sensor, Canon G7X shows that it is able to deliver stunning better colors. Compared to Canon G9X, it captures and reproduces colors more accurately. It has better color depth and also dynamic range, making the colors much more vibrant and vivid. To conclude this article, you should go with Canon G7X. The model comes with better color quality and a more powerful lens. Plus, it has a tiltable screen.